Who do you think will win in 34th Star Awards for Movies? Who do you think will win in the 34th Star Awards for Movies? 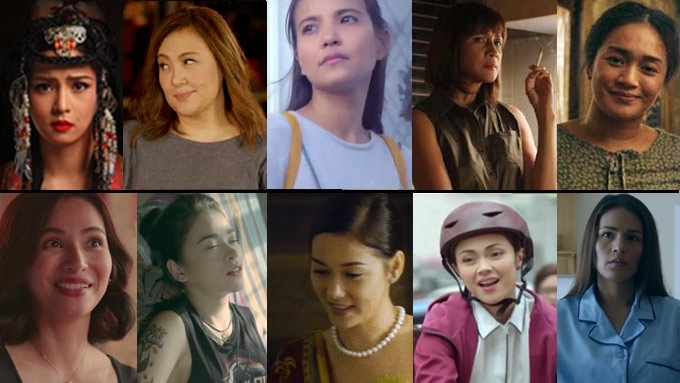 The nominees for Best Actress in the 34th Star Awards for Movies 2018 are: (top row, L-R) Kim Chiu, Sharon Cuneta, Alessandra de Rossi, Agot Isidro, Joanna Ampil, as well as (bottom row, L-R) Jennylyn Mercado, Bela Padilla, Maja Salvador, Jodi Sta. Maria, and Iza Calzado. It’s awards season once again. The Philippine Movie Press Club (PMPC), Inc. is all set to hold the 34th edition of the Star Awards for Movies this 2018. The awards night will take place on February 18, 2018 (Sunday) at Resorts World Manila, Pasay City. Produced as a blocktime TV special by Airtime Marketing Philippines of Ms. Tessie Celestino-Howard, the post-event telecast of the show will be aired on March 18, 2018 (Sunday) on ABS-CBN. The show directed by Bert de Leon has the 10:15 am to 11:45 am timeslot, right before ASAP. The hosts of the awarding ceremony will be Judy Ann Santos, Kim Chiu, Julia Barretto, Xian Lim, and Enchong Dee, while Iza Calzado will serve as the show’s anchor. Performers include Jona, Mark Santos, JBK, Neil Perez, Zeus Collins, Tanner Mata, Jameson Blake, Maris Racal, Loisa Andalio, Grae Fernandez, AC Bonifacio, and Louise delos Reyes. Actress-director Gina Alajar is this year’s special recipient for the Nora Aunor Ulirang Artista Lifetime Achievement Award, while master director Tikoy Aguiluz is this year’s honoree for the Ulirang Alagad ng Pelikula sa Likod ng Kamera Lifetime Achievement Award. Founded in the late 1960s, the PMPC is a group of active members of the entertainment media ranging from print to radio to television to online publications. Currently headed by PMPC President Joe Barrameda, the group gives honor and recognition to films and individuals for their works in Philippine cinema.